Where in France a Parisian is regarded an expat, or you can go to a restaurant to taste some local specialities like baeckeoffe or flammekueche? In Alsace of course. 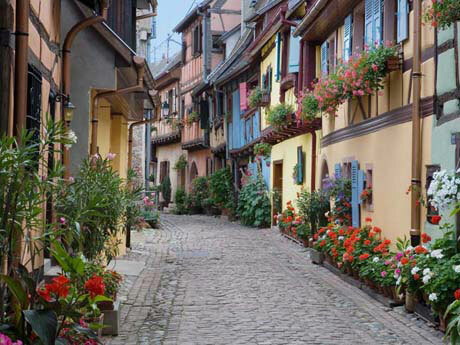 Guarded from the rest of France by the Vosges Mountains –ok, high hills really – and from Germany by the Rhine River, Alsace is a land of beautiful green hills, photogenic villages and good wine. And storks. In fact the regions’ symbol is the stork, due to the sheer number of birds migrating each year. Where I come from, there’s an old belief that if you see a stork flying, you’ll travel much and far that year. In Alsace, we saw so many storks flying, walking, feeding or just standing around, I am curious what kind of a year we’ll have. For centuries, Alsace has always been a subject of violent dispute between France and Germany. Roman Empire ended the tribal wars for a while but after its fall the region became the territory of Alemanni. They were a Germanic tribe who in most ways paved the way to modern day Alsace by extending the vineyards which has always been the main source of income and whose language formed the basis for the Alsatian dialect still in use today. In the following centuries, the region was occupied, reoccupied, partly sold or presented as gifts to countless duchess, generals and kings from Germany, Austria and France so many times that it’s impossible to keep track. 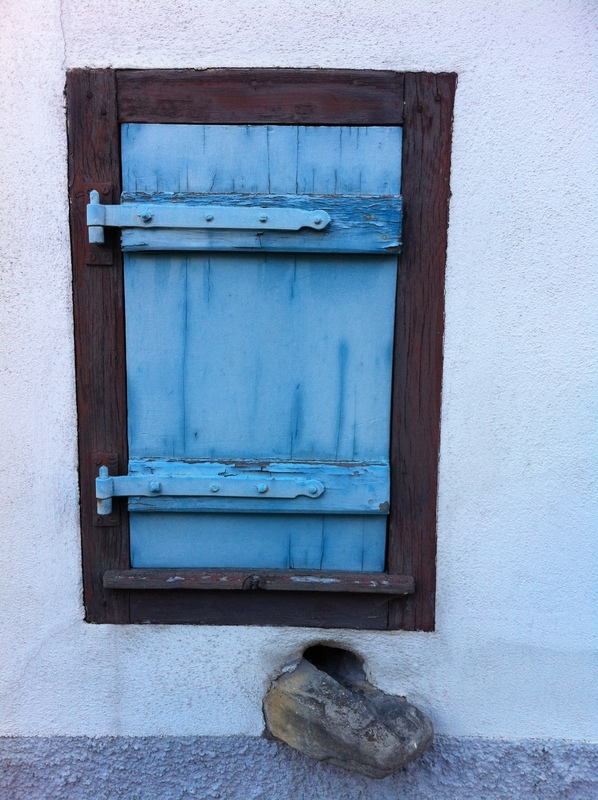 Just in the last two hundred years it changed ownership four times, and finally after WW1, it was reunited with France. 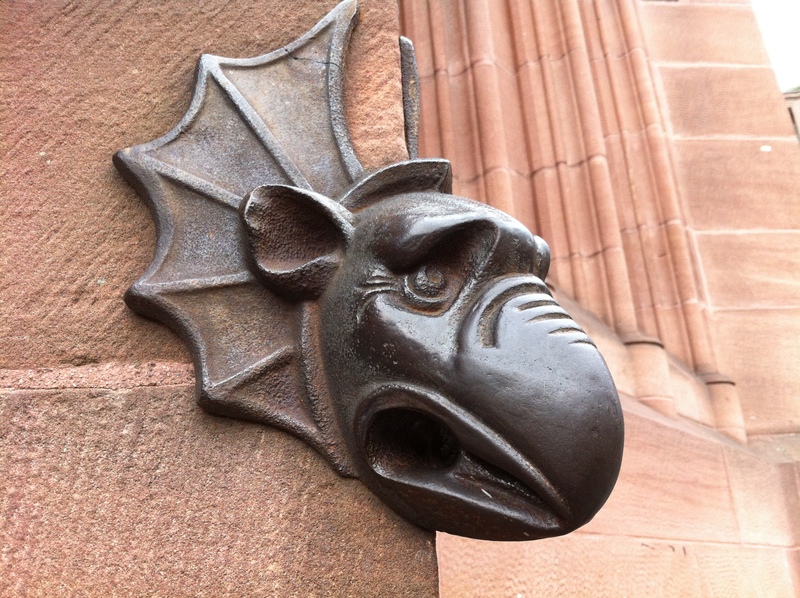 The effects of this historical confusion are evident everywhere in Alsace from the names of its towns and local dialect to its cuisine and architecture, which are neither French nor German, but unique and beautiful. Most local people speak both Alsatian and French, and in restaurants and shops German is used frequently to serve the tourists coming from the other side of Rhine River. One shop-owner told me ‘they’re coming to see what they’ve lost’, with a slight smirk on her face. 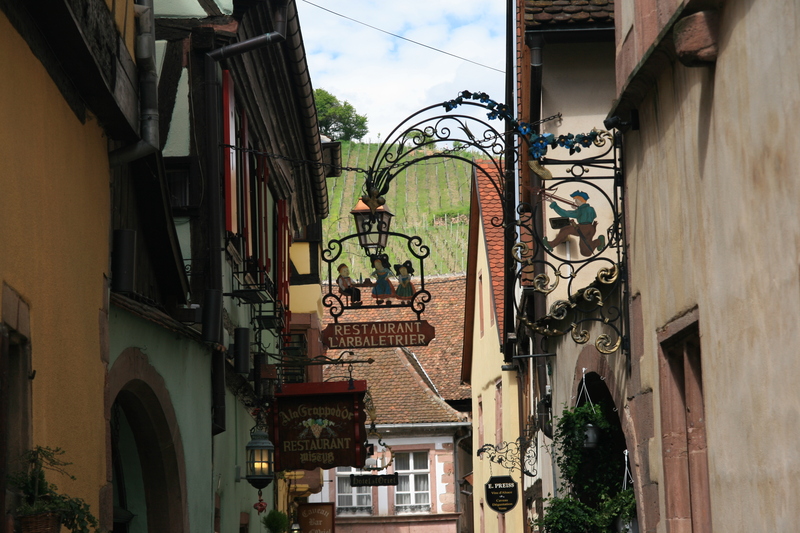 No visit to the region is complete without drinking the renowned Vin D’Alsace and tasting the local cuisine therefore we spent considerable time doing both. A typical Alsatian restaurant is rustic and warmly decorated. Lunch and dinners are lengthy affairs where family and friends gather around a big table, sharing the days’ adventures while sipping perhaps a glass of local beer or gewürztraminer as an aperitif. My personal favourite is Tarte Flambèe, a very thin pizza made from fromage blanc ,thinly sliced onions and lardons. It’s incredibly crispy and tasty, especially when washed downed with bottles of dry Alsatian Riesling. Another favourite is baeckeoffe, a mix of potatoes, herbs, mutton, beef and pork marinated overnight in Alsace wine and slow cooked in a sealed ceramic casserole dish. Traditionally, the women used to prepare this dish on Saturday evening and leave it with the village baker to cook in his oven on Sunday while they attended the lengthy Lutheran church services once typical to the culture. On the way back from church, they would pick up their casserole and a loaf of bread and Voila ! the Sunday lunch was served. Desserts are mostly tarts or a slice Kugelhopf, served with layers of crème fraiche and ice cream. Luckily that was the only part of the cuisine that I didn’t like. 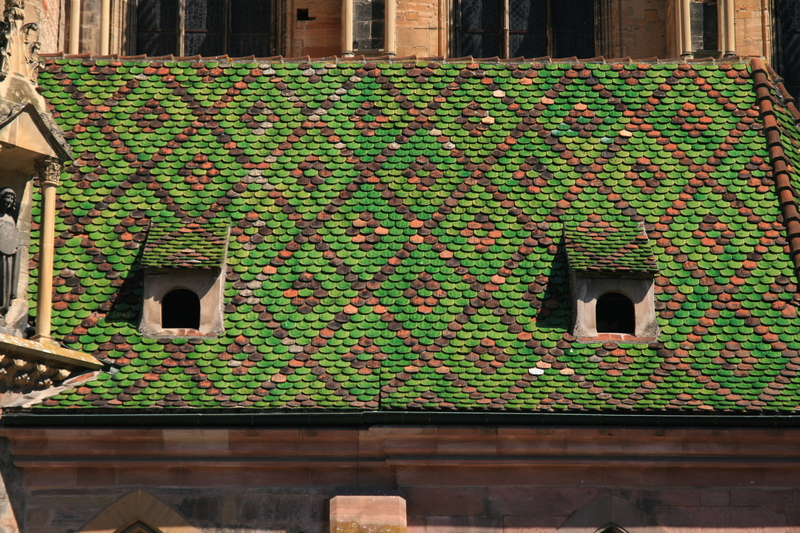 Another ‘must-do’ in Alsace is to take dozens of pictures of its unique buildings. Apart from the beautiful countryside, Alsace has a unique architectural style which differs from imposing to cute to kitsch throughout the region. 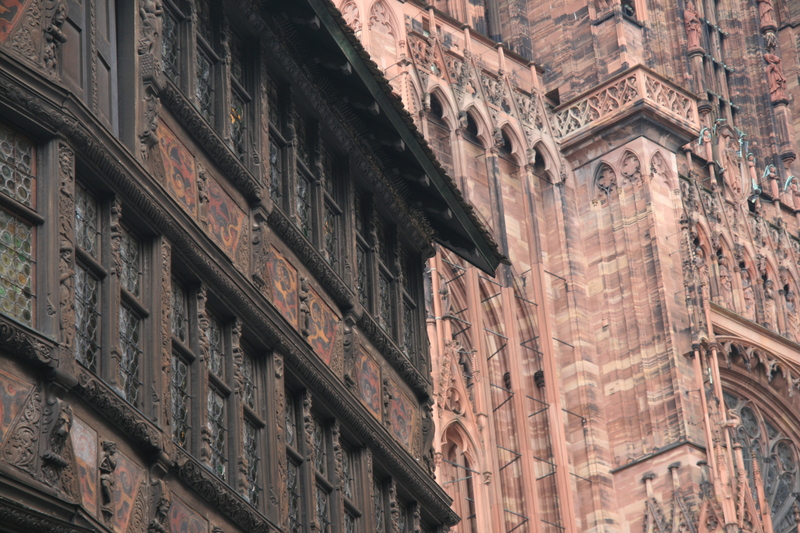 Strasbourg, the largest city of Alsace is truly impressive with its cathedral and well preserved old town. Situated on the banks of Rhine, it’s a border city and changed hands countless of times in the past. This imperial city has always been a centre for learning. It was home to the world’s first ever printing offices, courtesy of Mr. Gutenberg, and first ever printed newspaper, a weekly affair published in German. Although housing many EU institutions today, the city still manages to preserve a youthful atmosphere thanks to its universities. 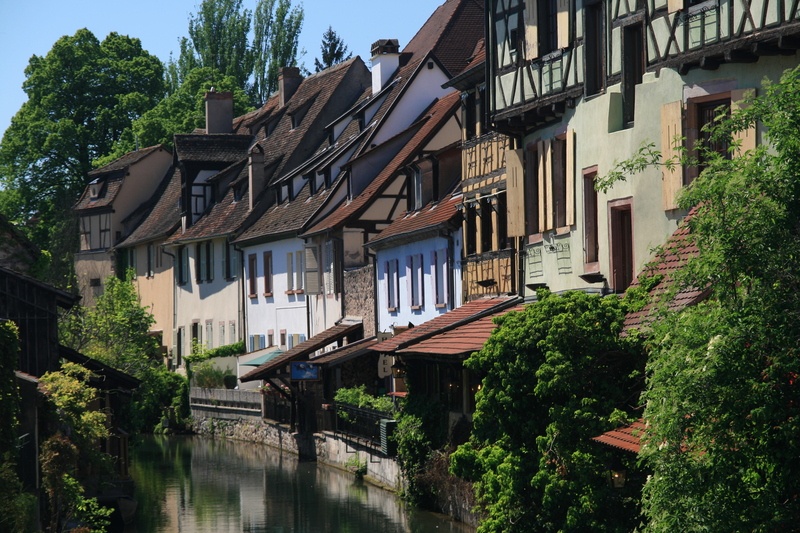 One of my favourite parts in Strasbourg is the Petite France partly due to its relaxed atmosphere and partly because of the story behind the name. Now a tourist favourite full of restaurants and galleries, this part served two functions when it was a part of the medieval Germany; it was the district of the tanners and the hospital for syphilis – which was regarded as ‘a Frenchman’s disease’ by the puritan Germans – was located there. In those times, the tanners were placed at the worst parts of the cities due to the horrible smell coming from the huge amounts of urine that was used to soften the leather. Naming that district as Petite France was a not-so-covert way of showing how the medieval Germans felt about their neighbours. 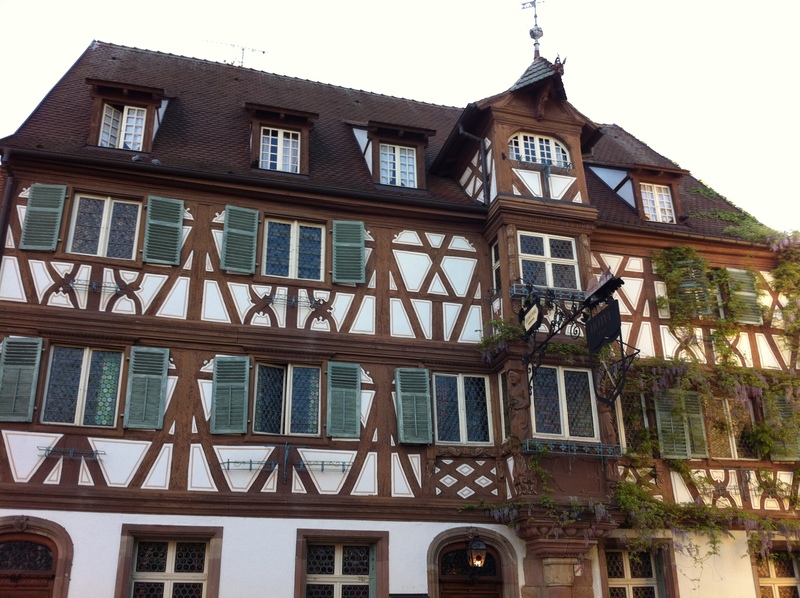 Another place we visited was Colmar, a nice market town that demonstrates the typical Alsatian architecture. To my surprise, Colmar is pretty known among the Americans because of a M. Bartholdi, a 19th cc architect who among other things constructed the Statue of Liberty. 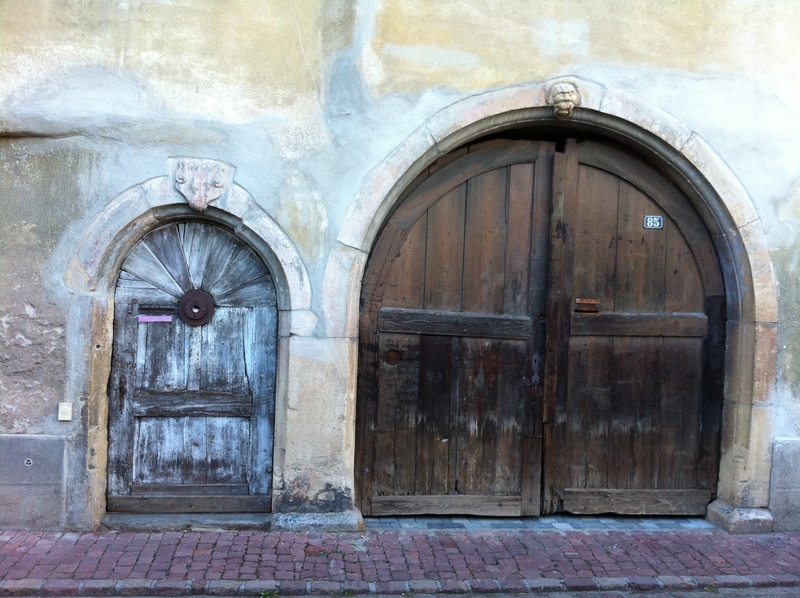 We visited many small villages on the wine route whose architecture differs from cute and classy at Ribeauville, Turckheim and Eguisheim to downright kitsch and postcard-cute at Riquewihr. On our way home, we stopped at Nancy. 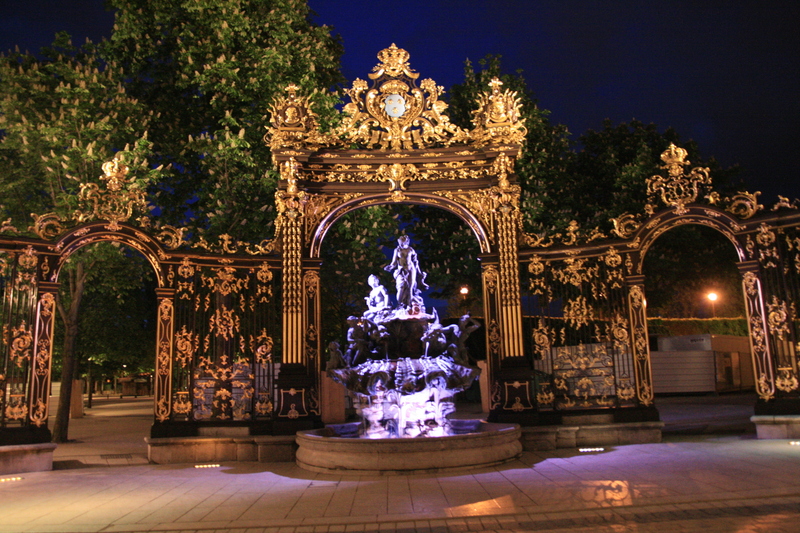 The Place Stanislas with its beautifully proportioned buildings and Art Nouveau style gilded iron gates were truly majestic in moonlight and worth a visit.